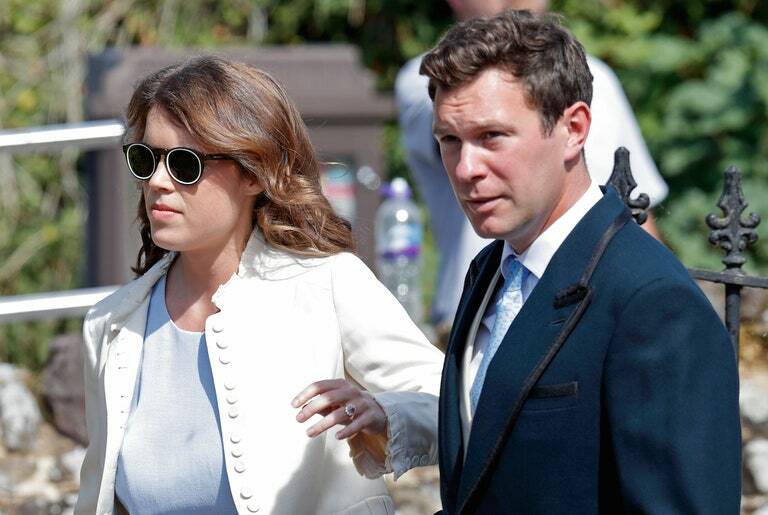 Princess Eugenie’s fiance, Jack Brooksbank, is proving a most enterprising businessman. I can reveal that the 32-year-old has arranged for guests at his wedding reception next Friday to be served with Casamigos tequila, the label co-founded by Hollywood star George Clooney and of which Jack is the Europe brand ambassador. ‘I’ve not been kept out of all the planning. I get to decide some things. I’m in charge of drinks and we’ll be serving Casamigos,’ he tells me at the launch of Harry’s Bar, James Street. 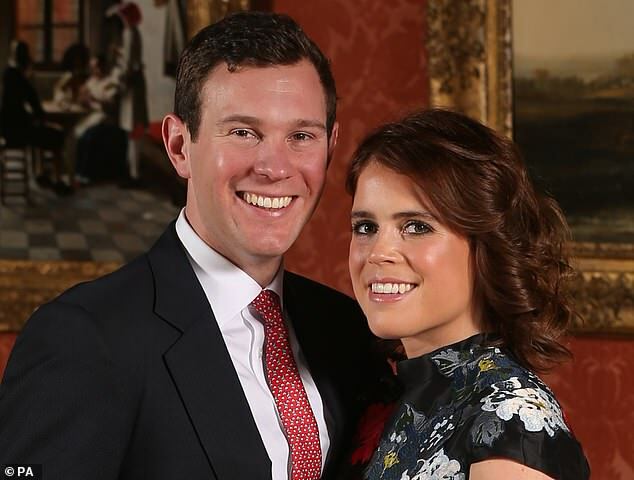 Jack will marry Eugenie, the 28-year-old daughter of the Duke of York and Sarah Ferguson, next week at St George’s Chapel in Windsor, followed by receptions at Windsor Castle and Royal Lodge. Last year, Jack set up a company called Jack Brooksbank Ltd, which distributes alcoholic drinks. And his tequilas were being served at the Chiltern Firehouse in Frieze week where Roman Abramovich’s ex-wife Dasha Zhukova and Duran Duran’s Nick Rhodes were at a party co-hosted by Old Etonian art dealer Jay Jopling and Andre Balazs. Brooksbank learned his trade in a string of Chelsea pubs frequented by Prince Harry and became club manager at the favourite royal Mayfair nightspot Mahiki. When Clooney attended Prince Harry and Meghan Markle’s wedding at St George’s Chapel in the spring, the actor also reportedly acted as a bartender at the reception, serving guests shots of Casamigos before taking to the dancefloor. ‘I can’t say if George Clooney is coming,’ adds Jack, who does, however, admit to feeling anxious. His shrewd eye for business will no doubt impress his future parents-in-law. Prince Andrew supports fledgling entrepreneurs with the initiative he set up in 2014 called Pitch@Palace, while Fergie also has a line of successful — and not so successful — commercial ventures. I feel sorry for Eugenie she seems like a great girl. The way the press have treated her wedding is awful. She is just as much a royal as Harry yet they don't seem to want her to have her own royal wedding. Interestingly she's probably the most connected of the young royals. I wonder if the Casamigos for the wedding is a gift from George and Amal. If so, it would probably save them a lot of money. Even if George is there I doubt he'll be playing bartender. He said he didn't at Harry's wedding and I believe him. If Cindy and Rande are going I'd think that's more incentive for G&A to attend. At least they'd have good friends to hang out with. But is George Clooney coming to the wedding? The 32-year-old man who will marry Princess Eugenie a week from today is not, at least in the U.S., much of a known entity. Jack Brooksbank—who will be marrying Eugenie, ninth in line to the throne, on October 12—is the U.K. brand ambassador for Casamigos tequila (yes, that’s the George Clooney and Rande Gerber tequila). He met Eugenie in Switzerland about seven years ago while “skiing in [a] Swiss resort town”; Sarah Ferguson seems to like him; and . . . those seem to be the most pertinent facts about him! Thankfully for Brooksbank, some of the pressure will no doubt be taken off with the attention that will surely be paid to the presence of Meghan, Kate Middleton,Harry, Prince William, Princess Charlotte, and Georges, both prince and (probably) Clooney, at the event. SPOIL HIS MEMORIES OF THEIR BIG DAY.